You may have seen the range of metallic temporary tattoos Beyonce was wearing and promoting last year and thought, looks good in a music video but once I've flashed it on Instagram, do I really want to wear this? As most of you know, I have a few tattoos. As in, real ones, done with a needle and ink. But, as much as I toy with the idea, I have no intention of adding more. I'm going to sate my desire to play with designs and placement by indulging in temporary tattoos. Before you go, whoa there! Like the ones in the cereal box when you were 10? These have bona fide tattoo artists behind them. 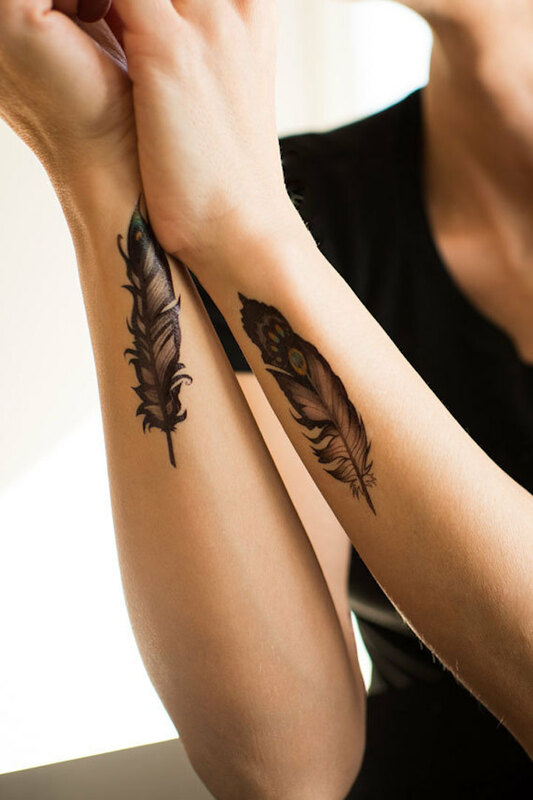 Canadian store Tattoo You collaborates with tattoo artists and illustrators to create high quality temporary tattoos that you can wear with confidence. Like me, perhaps you already have body art and you want to test drive a design or see how a certain shape looks on your wrist, your ribcage or your shoulder before you commit to something permanent there. Perhaps you just want to horrify your mother by casually rolling up your sleeve on Mother's Day and baring a giant skull. Perhaps you have an event for which body art is your adornment of choice - we all missed out on Coachella, but there's still Splendour In the Grass (if you got tickets). I'm currently wearing designs by Marie Massolin ("Beetle"). an Alberta based illustrator and designer; Arizona native Jon Garber who is a mind-blowingly awesome tattoo artist; Sasha Unisex from Moscow, Russia, and Sasha Masiuk also from Russia. Her strong black line drawings are gorgeously romantic and feminine without being flouncy. Check out Tattoo You on Facebook, Twitter and Instagram. If you are a designer, tattoo artist or illustrator, you can contribute a design.